TOM. . . WELL. . . . WE SOLD ALL OUR STABLE OF CARS EXCEPT A 73 CJ. . . . THEN FOUND THIS ONE. . . . 2010 WITH 5000 ON IT . RE. RED AND WHITE INTERIOR, , . HAD TO HAVE IT. . HAS THE HOOD SCOOP, LOUVERS, SIDE SCOOPS, CUSTOM SPOILER AWESOME RIDE. . . . NEXT A 5. 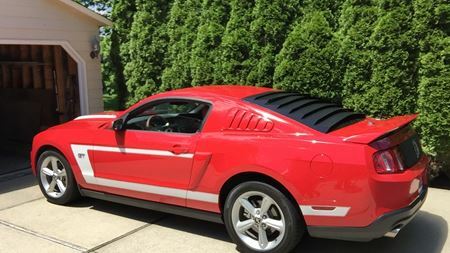 0 CONV MOST LIKELY. .
2010 GT 5K MILES. 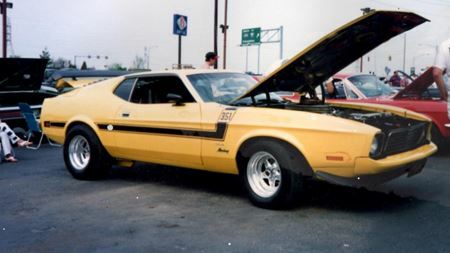 . . . . . . HAD TO HAVE ANOTHER MUSTANG. . . . SOLD ALL THE OTHER ONES EXCEPT THE 2010 AND A 1973 Q CODE MACH I. . MODIFIED 351 C, 4 SP. . . TOM. .
73 Q CODE, 4SP. . 351 CLEVELAND WELL MODIFIED BOUGHT 1N 1980. . . ONLY ONE IV'E KEPT. . . . HAD LOTS OF THEM. . 67, 69MACH, 70 COUPE, 71 CONV, 3- 73'S, 75 GHIA, , 84 GT CONV, . . . THEY HAVE ALL BEEN FUN CARS. . . . .